Karle Pace | Clarksville Sports Network - Clarksville Tennessee's most trusted source for sports, including Austin Peay State University. 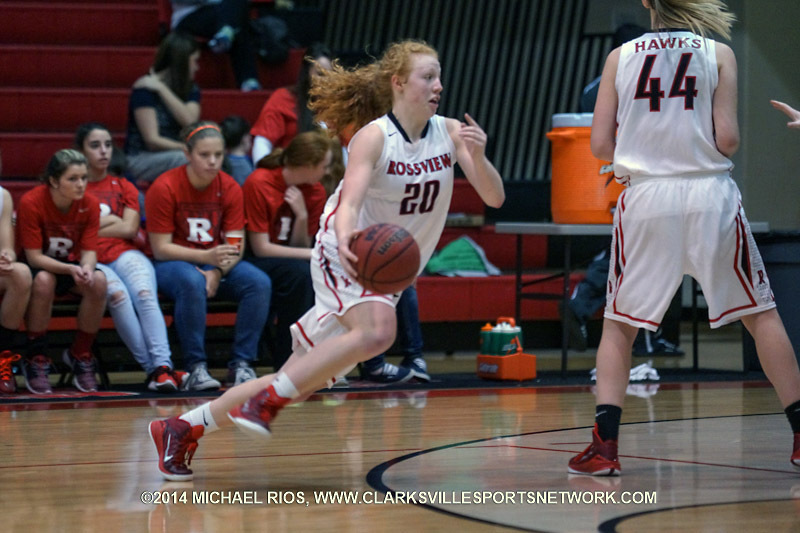 Clarksville, TN – Rossview High School’s girls basketball team went a long way in trying to secure their third straight District 10-AAA regular-season championship, Tuesday, January 20th at the William Workman Gymnasium, as the Lady Hawks defeated Clarksville High School 44-29, in a showdown between the top two teams in the district. Both teams came out and struggled in the opening minutes in getting their offenses going, with Rossview (13-5, 8-1 District 10-AAA) needing almost two minutes to get on the board with baskets from Mickey Head and Cassidy Taylor putting the Lady Hawks up 4-0. 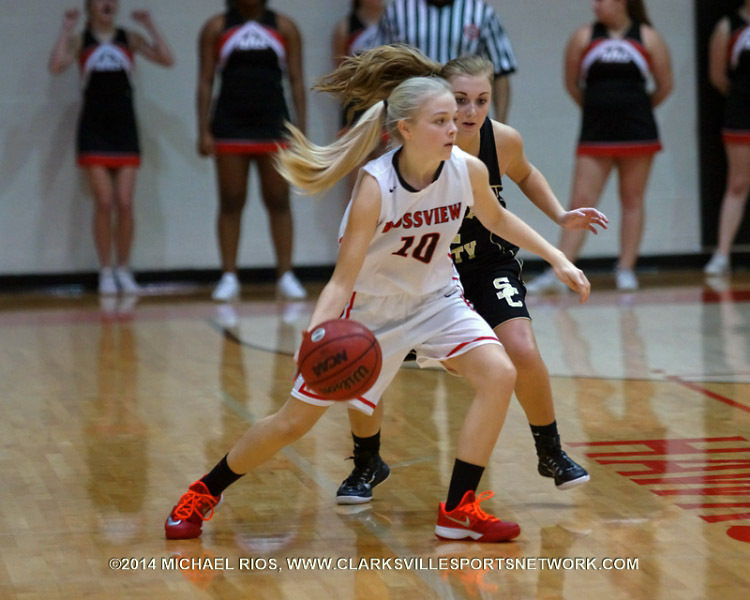 Rossview Girl’s Basketball beats Clarksville High 44-29 Tuesday night. Clarksville, TN – After dropping its first District 10-AAA game of the season three days ago, Rossview High School’s girls basketball team bounded back in a big way, Friday, January 16th, in defeating Northwest High School by 25 points, 49-24. The Lady Hawks (12-5, 7-1 District 10-AAA) would put the game away early-on, as they scored 14 of the first 16 points of the contest to take a 14-2 lead and never look back. Rossview Girl’s Basketball takes care of Northwest 49-24. Clarksville, TN – After a slow start, the Rossview Lady Hawks (11-4, 6-0) defense clamped down on the Kenwood Lady Knights (5-12, 2-4) at Kenwood High School and ended their week with a 57-31 victory. This was the Lady Hawks third win in the last four games. They are undefeated in district play. 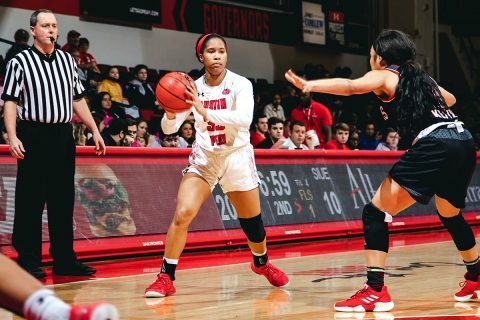 The Lady Knights were held to a season low in points. Although, it took more than a quarter for the Lady Hawks defense to settle in. “We usually are a fast starting team. I don’t know what was wrong with us tonight. We just weren’t locked in defensively like we normally are to start the game,” Rossview Lady Hawks head coach Justin Woods said. 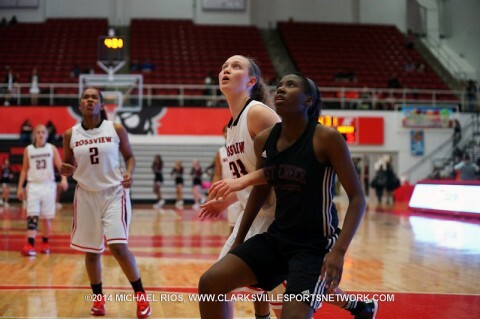 Rossview Girl’s Basketball beats Kenwood 57-31. Clarksville, TN – Making the most of its superior height advantage, Rossview High School girls basketball team pulled away in the middle two quarters, Monday, December 8th, versus Stewart County High School in coming away with a 53-37 victory. Holding a three-point advantage after one quarter, Rossview (6-1) opened the second period by pounding the ball inside time and time again against the smaller Lady Rebels post player in scoring 10 straight points – including six from Mickey Head to go up by 13 point, 25-12, with 4:33 left in the first half. Rossview Girl’s Basketball beats to Stewart county 53-37. 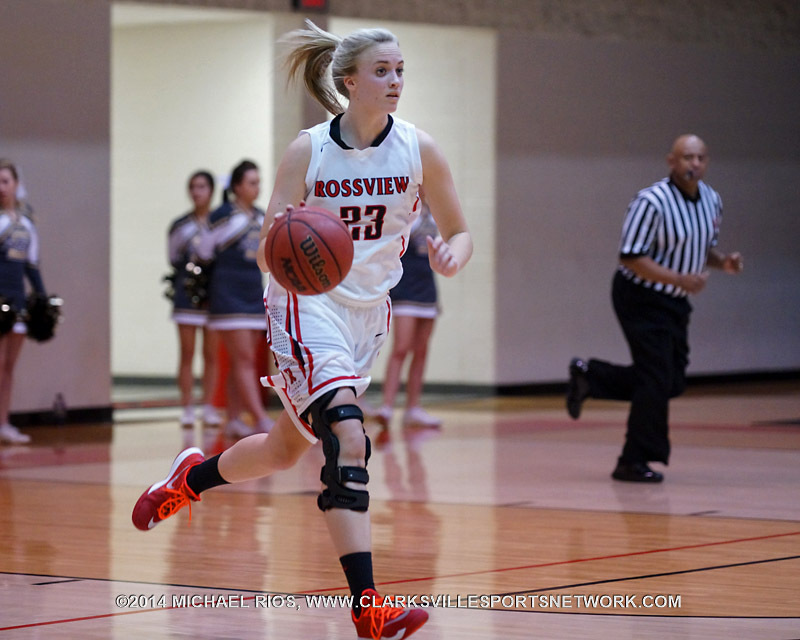 Clarksville, TN – A driving layup by Rossview High School’s Karle Pace, in the final 18 seconds, proved to be the difference Friday, December 5th in its District 10-AAA matchup versus Clarksville High School, as the Lady Hawks fended off the up-set bid by the Lady Wildcats, 39-37. Clarksville High (3-8, 1-1 District 10-AAA) had one final chance to tie, or win the game, but Haley Bearden’s running jumper down the left baseline way off the mark, with the Lady Hawks coming up with the rebound and running out the clock. 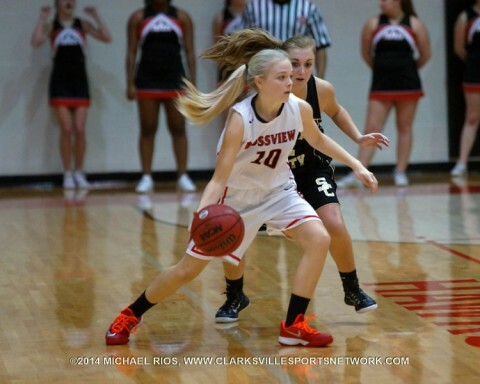 Rossview Girl’s Basketball gets late goal to beat Clarksville High 39-37. 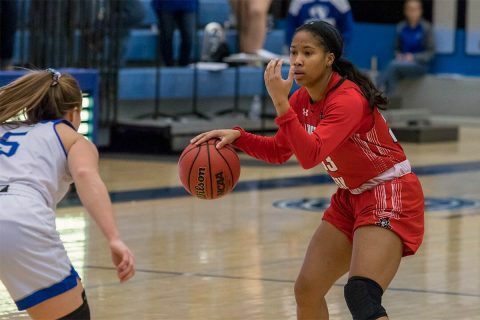 Clarksville, TN – The Rossview Lady Hawks announced to the rest of District 10-AAA they are ready to repeat as champions Tuesday with a dominating performance against the Northwest Lady Vikings. 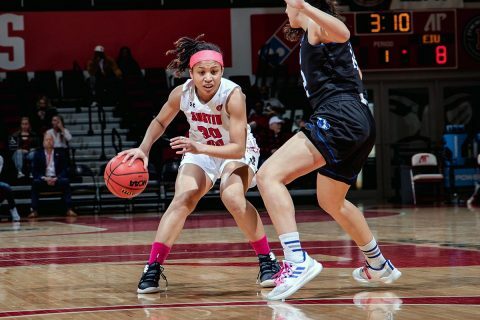 The Lady Hawks smothering defense held the Lady Vikings to single digit scoring in each quarter on the way to a 50-19 victory. The Lady Hawks defense was simply too much for the Lady Vikings to overcome. The Lady Hawks generated over 20 Lady Vikings turnovers. Rossview Girl’s Basketball gets 50-19 win over Northwest. 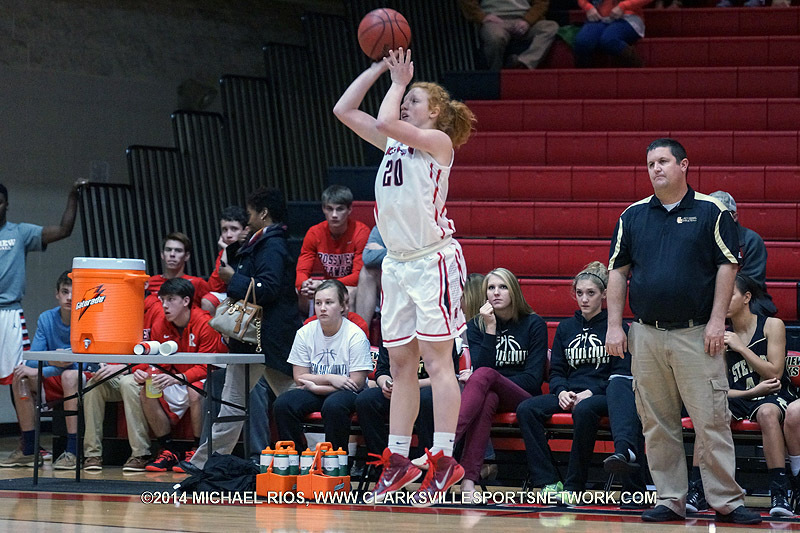 Clarksville, TN – The second girls basketball came of the 2014 CMCSS Jamboree had last seasons district and tournament champions Rossview Lady Hawks playing the West Creek Lady Coyotes. With a 16-0 run to finish the game, the Lady Coyotes grounded the Lady Hawks 25-16. The Lady Hawks outscored the Lady Coyotes 11 to 7 in the first period, but were held to only five points in the second. The Lady Coyotes took advantage of turnovers and free throws to take over the game in the second period. 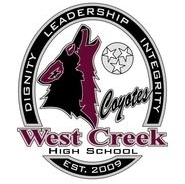 West Creek Girls Basketball get 25-16 win over Rossview Lady Hawks.